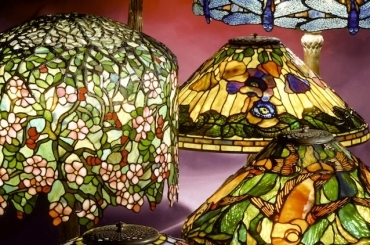 Tiffany Studios’ Acorn design (originally called a Vine Border) appears in a variety of sizes. At Century Studios, we recreate Acorn shades in the 10″, 12″, 14″ 16″, and 20″ sizes. 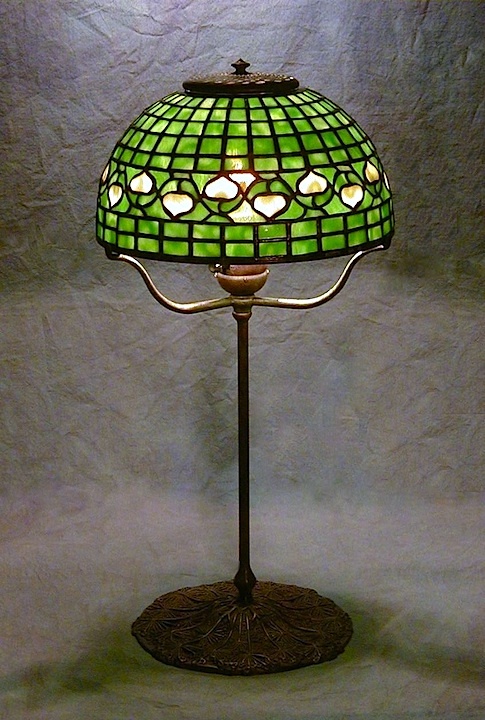 The 10″ Acorn shade, shown here on the delicate Queen Anne’s Lace base, works well as a small accent lamp in any interior. We created this shade and base for a client in 2003.